After Brandon and Stephanie's ceremony on the green near the clubhouse, we raced to the back side of the golf course for some bride and groom portraits. On our way back to the to the clubhouse for the reception I noticed how I could set up this shot. 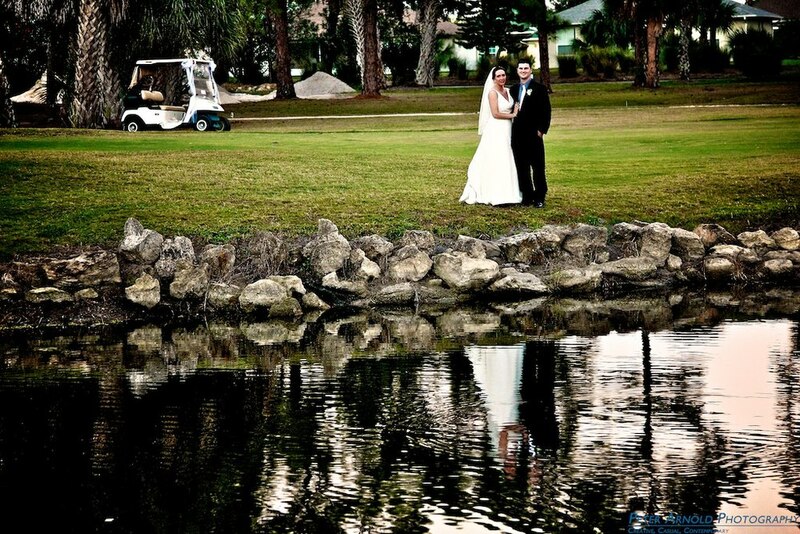 I had the Bride and Groom pose on one side of the water hazard while I went back to the other side to capture them with their reflection.